Join us as we partner with the Snoqualmie Indian Tribe and King County Parks for a spring planting event in the picturesque Snoqualmie Valley. Volunteers will plant native trees and shrubs in an effort to establish a healthier native plant buffer along an important slough channel of the Tolt River in a culturally important area for the Tribe. Gain an overview of the site and project, including why our work is important to the Tribe and for local salmon recovery. On the first Saturday of every month, Eastside Audubon volunteers work on habitat improvement at Marymoor Park in Redmond. Remove invasive plants, mostly blackberries and hawthorns, plus other seasonal work, depending on conditions and turnout. There is nothing like doing physical work alongside other conservation-oriented people to make you feel physically and mentally strong! Please bring work gloves, a shovel or rake if you have them, and fluids. No special knowledge, strength or skills are necessary. Contact: Glenn Eades, geades@seanet.com, 206.940.1390. We don't ask for signup for individuals or families, but it is good to know if a group is coming so we can be sure to have enough tools. Friends of Cheasty Greenspace at Mountainview is a community-led volunteer organization in South Seattle dedicated to restoring urban green space, increasing community access to nature, and providing outdoor recreational opportunities in urban forests. Come join us in the woods for two hours of planting, trail maintenance and/or weed pulling! Our events are fun and quick and we get a lot of good work done! Families and young kids are encouraged to attend. Please wear sturdy shoes, long pants, and long sleeves. Don't forget your raincoat on wet days. And please bring your own water bottle. Contact: Andrea Ostrovsky, adostrovsky@gmail.com. Registration is available online. Mercer Island is graced with 35 parks, over 400 acres of natural areas, and more than 50 miles of trails. Luther Burbank Park is important to the greater Greenway landscape as a rest stop for many species of migratory birds. Strangled by invasive weeds, many native trees and shrubs are struggling to survive and lack enough species diversity. Volunteers will help this effort by planting native trees and shrubs where volunteers removed invasive plants earlier in the winter. Mary's Place is an agency that provides homeless women, children and families rescue, respite, nutrition, safety and shelter in a setting where relationships are affirmed, love and hope are discovered and a new future begins. In response to the increasing numbers of homeless families, Mary's Place has opened five emergency family night shelter programs, expanded services for children and families at our downtown Seattle Day Center and recently opened a second Day Center for families in north Seattle. 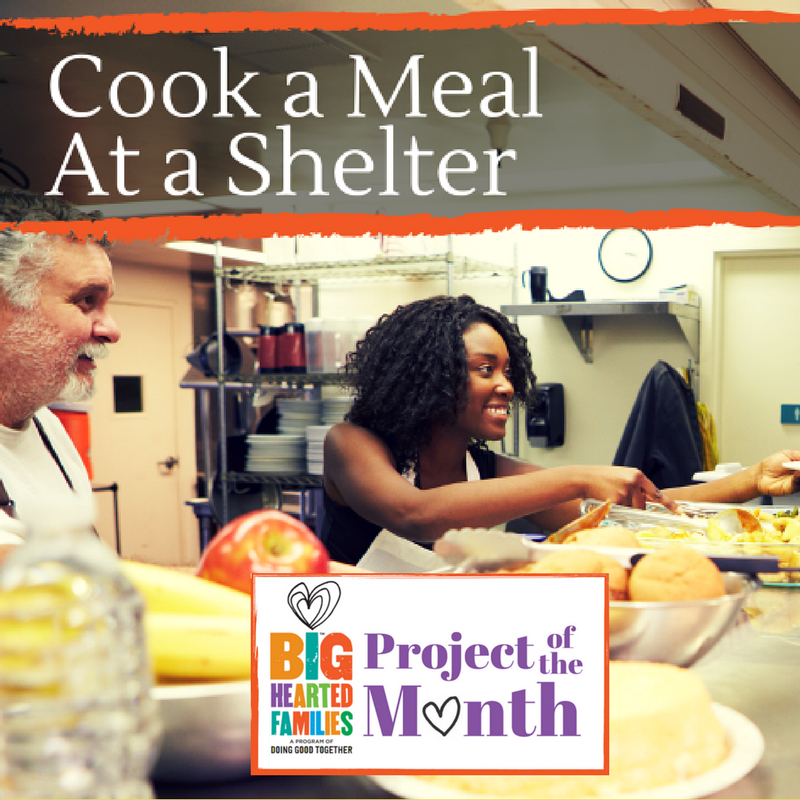 Volunteers are needed to provide meals to families at the North Seattle and Guest House locations. Volunteers are welcome to stay, serve, eat, and enjoy the families' company but if volunteers are not able to stay, the gift of food is still very much needed. Ages: All ages can volunteer as long as a parent supervises children. Multi-family groups of up to 15 volunteers are welcome to volunteer. The Hunger Intervention Program provides Healthy HIP Packs to local elementary schools, where they are distributed to students who can benefit from extra food over the weekend. The HIP Packs provide healthy meals for these students who might otherwise experience hunger during the weekend when school meals are not available. Come out and join us at our packing parties to help assemble these HIP Packs and help with other volunteer projects. Ages: All ages are welcome! Younger kids may need help from parents to participate. Contact: Email americorps@hungerintervention.org or call 206.457.2871 to confirm.